internal culture and has led his team of nearly 300 staff to multiple tender wins, most recently the contract for Sydney Airport. While some may have expected a two horse race between O'Connor and Warburton, AdNews understands that O'Connor would be in charge on the new bolstered OOH mega business as he “already had a foot in the door”. “APN Outdoor will soon be part of the biggest outdoor advertising company in the world, a company with a proven reputation for using its vast resources to drive innovation and creativity,” Warburton says. Warburton joined APN in October last year from his role as CEO of V8 Supercars Australia and has been making big strides at the business. His appointment followed the failed merger between APN and Ooh!Media, which led to the resignation of CEO Richard Herring after 22 years at the business. Warburton has more than 17 years' experience in the media sector having also held the top role at Universal McCann in the early 2000s and was also director of Ten's out-of-home media business Eye Corp.
APN Outdoor CEO James Warburton has confirmed his exit from the out of home (OOH) business, with JCDecaux Australia CEO Steve O'Connor assuming leadership for the combined JCDecaux and APN Outdoor operation. The shake-up comes after the successful outcome of the APN shareholder meeting and the court approval, held yesterday regarding JCDecaux’s proposed transaction with APN Outdoor. The acquisition of APN Outdoor and O'Connor's appointment will be effective as at 31 October 2018. “The takeover by JCDecaux, which represents a record valuation multiple in the Australasian outdoor industry, means that the role I was hired for will change significantly,” Warburton says. O'Connor says he is looking forward to working with the APN Outdoor and welcoming them into the JCDecaux family. “I am excited to be assuming the expanded role of CEO at a time when the out of home industry is experiencing rapid change and growth," O'Connor says. "The combination of our two businesses will result in increased investment in product innovation and technology, enabling us to further roll out our digitisation strategy more widely." Co-chief executive officer of JCDecaux, Jean-François Decaux, says O'Connor has been "instrumental" in building the firm's presence here iin Australia in the street furniture sector. 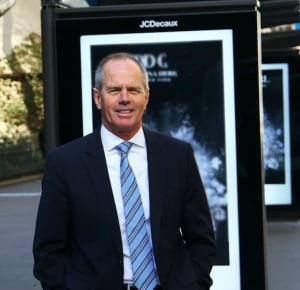 “JCDecaux has a long and rich history in the Australian market, ever since it entered after winning contracts to supply a number of Sydney Councils architecturally designed street furniture in preparation for the Sydney Olympic Games in 2000," Decaux says. 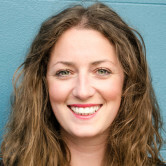 Warburton joined APN Outdoor in January 2018 with big plans to shakeup the business. Ambitious and outspoken Warburton, who is also ex-Ten CEO, is credited with modernising and revamping APN Outdoor's internal culture and has led his team of nearly 300 staff to multiple tender wins, most recently the contract for Sydney Airport.